A chip or a crack on your car windscreen can be extremely dangerous. Equally, when the break is anywhere within the driver’s view zone, it poses a safety hazard to both the driver and passengers. Thankfully, you don’t have to be worried anymore. When it comes to repair or replacements of car windows in McKinney, Texas windshield Service Company will sort all your glass repair problems. We offer the best repair services to all varieties of vehicles on the road. Furthermore, we have more than ten years of dealing with all types of windscreens repair and replacement. Our highly trained and experienced team will work on your screen before the damage spreads. A stitch in time saves nine, as the saying goes and it definitely holds true when we are dealing with chips and cracks to your windshield. While small damages can seem insignificant, all it takes is a simple bump on the road to turn them into a big problem. Rocks chips the size of a quarter or smaller are easily repaired if caught soon enough. In fact, most insurance companies are willing to waive the cost. However, if the damage becomes too significant, you will be required to have the entire auto glass replaced. Obviously, this will increase the cost factor to have your windshield replaced. For all your car windows repair issues, trust our technicians to get them solved. We adhere to the factory-approved installation methods to maintain the quality of your screen. Likewise, we use the finest and most advanced adhesives and tools to maintain quality standards. Consequently, we meet all federal vehicle safety standards. Since customer satisfaction is our priority, all our installations have a guarantee. Quality services for your vehicle are essential. You need to work with experts when it comes to repairing your vehicle windows. 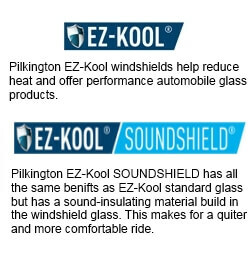 When looking for auto glass repair experts in McKinney, Texas windshield service is your first choice. We have professionals in glass repair who are highly trained and experienced in handling all types of car screens repairs and replacements. Besides, we use only premium materials for all your repairs. For any installation we do, a guarantee is a must. At Texas windshield, the priority is our customer’s satisfaction. We adhere to all factory approved installation procedures. Our technicians are at per with the latest practices and procedures which guarantees the safety of your car. When it comes to pricing, we offer our services to all our customers at affordable prices. While some repairs might be technical, you can rest assured we will do our best to keep your cost minimal. Overall, we value the services we offer to you over the prices. Affordable price quotes, professionalism and quality services are our priority. We use true professionals in handling all your vehicle repairs. We give our customers assurance with the repair services we do. When doing repairs, we use quality materials. As a result, we assure you the repair will last longer. Additionally, all our chips, crack repairs and installations come with a lifetime warranty. Regardless of what kind of crack or chip you have in your car, we fix it promptly thus ensuring protection against further damages. Also, we offer mobile auto glass repair services. You don’t have to come to our company premises. Call or text us anytime anywhere are we will be there within the shortest time possible. Texas Windshield Service can provide you with the lowest windshield repair costs anywhere in McKinney, period! You can contact us by phone or fill out the form below to get an estimate on how much a repair on your vehicle will cost. Our parent company can help with Frisco auto glass repair.